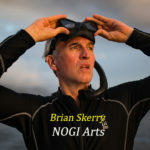 The Academy of Underwater Arts and Sciences has chosen Brian to receive its 2019 NOGI Arts award. The NOGI is the oldest and most prestigious award in the diving industry and will be presented to Brian at the annual NOGI Gala later this year. 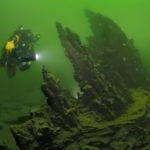 Check out the December issue of National Geographic magazine about how Brian photographed ancient geologic formations in Yellowstone Lake. 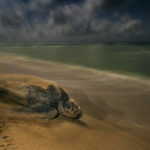 After 20 years of producing stories for National Geographic magazine, Brian has become a story! Check out the October, 2018 issue of National Geographic. Brian has been honored with the annual Art/Act award and exhibition, presented by the David Brower Center in Berkeley, California. 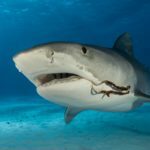 The exhibition, SHARKS, is on display September 21, 2018 – February 14, 2019. Brian Skerry won the Behaviour: Amphibians and Reptiles category of the 2017 Wildlife Photographer of the Year Competition! 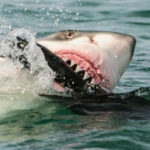 These Sharks Once Ruled the Seas. Now They’re Nearly Gone. 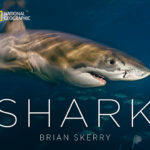 Brian Skerry named National Geographic Photography Fellow! 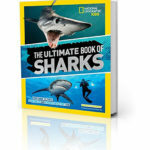 Brian Skerry Shines a Light On Sharks. 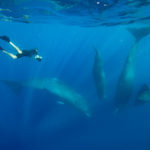 Brian Skerry Finds the “Afghan Girl” Dolphin. 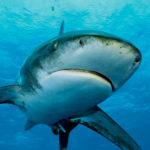 See National Geographic Proof video. 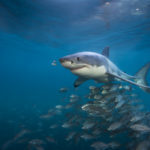 Congratulations to Brian Skerry who won the Underwater Category of the 2013 Wildlife Photographer of the Year Competition!